This event is the 26th annual Delta Ditch Run. The first warning will be at 10:25 A.M. on Saturday, June 4, 2016. 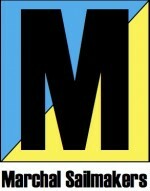 The course is from the starting area which is located between the Richmond-San Rafael Bridge and the Brothers Islands, to the finish line at the Stockton Sailing Club. 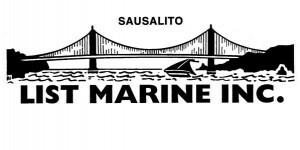 All boats-As you pass under the Benicia Bridge you will need to radio in your sail number to "Wings", our designated Event Patrol boat on Channel 72. "On Thursday afternoon we were notified that a military exercise was rescheduled and will now be running for the next several days in the MOTCO zone, in the vicinity of the Naval Weapons Station near Concord. A larger than normal security zone will be enforced that will impact our race. Please be aware that there will be a significant increase in armed military vessels, on high alert, in the area. We've worked with the Coast Guard to allow Delta Ditch Run registrants to enter the NORTHERN portion of this security zone, to allow safe passage in sufficient amounts of water. 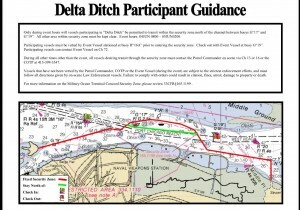 Please refer to the attached Delta Ditch Participant Guidance document that the Coast Guard prepared for detailed information on the security zone and what portion Delta Ditch Run registrants are allowed to enter. Additionally, to ensure passage through the security zone, we will need all vessels to check in with our Event Patrol boat which will be stationed at Buoy R "16A". As you pass under the Benicia Bridge you will need to radio in your sail number to "Wings", our designated Event Patrol boat. They will then verify with the Zone Enforcement Vessels that you are a Delta Ditch Racer and are allowed to pass through the northern portion of the security zone. 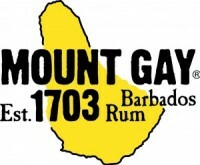 We will have a 2nd boat in the area as well, aiding the transit through the security zone."